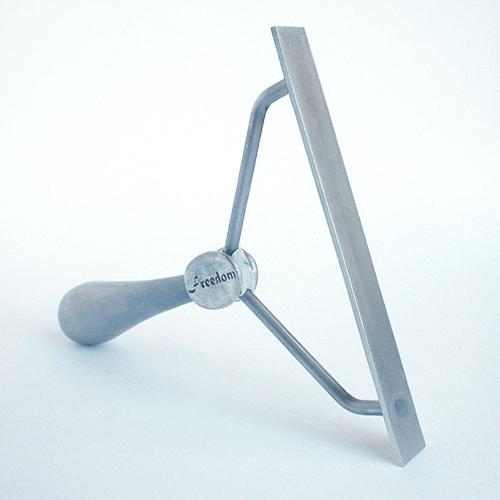 The Freedom Straight Encaustic Scraper is a stainless steel tool with a true straight edge for easy scraping and leveling of large works. The Freedom thumb pad, secured to the tool with a two-part epoxy, provides the application of direct pressure where needed when scraping. Welded stainless steel and solid handle for good balance. Approximate length is 7 inches and approximate width of cutting edge is 6 inches.